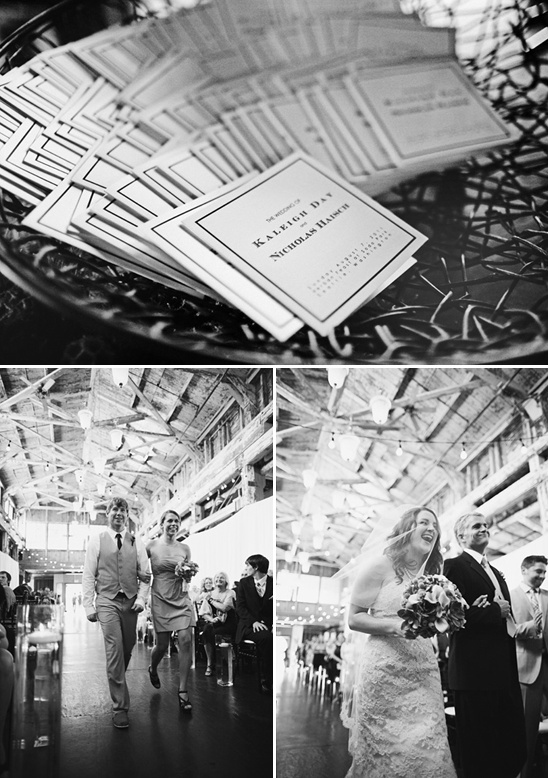 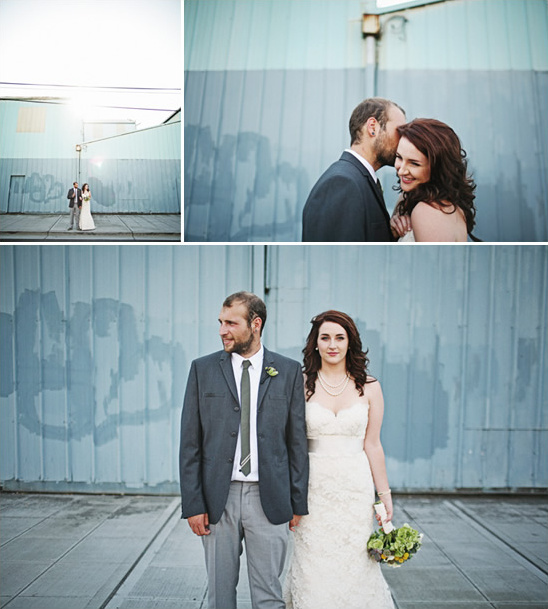 Kaleigh and Nick married at Seattle's Sodo Park. 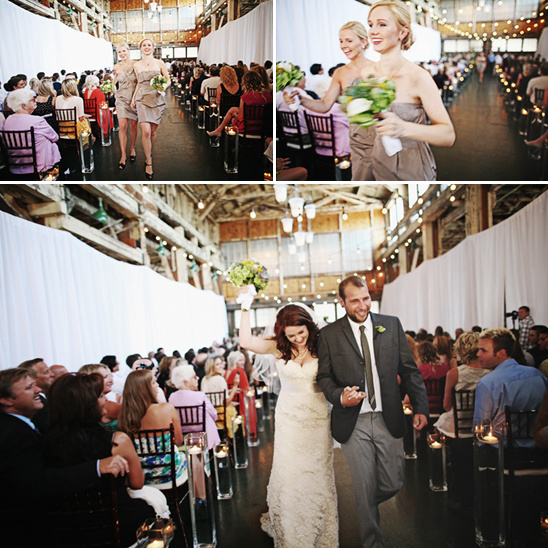 A super hip wedding venue just minutes from downtown Seattle, featuring exposed-beams, high ceilings and an urban-loft design. 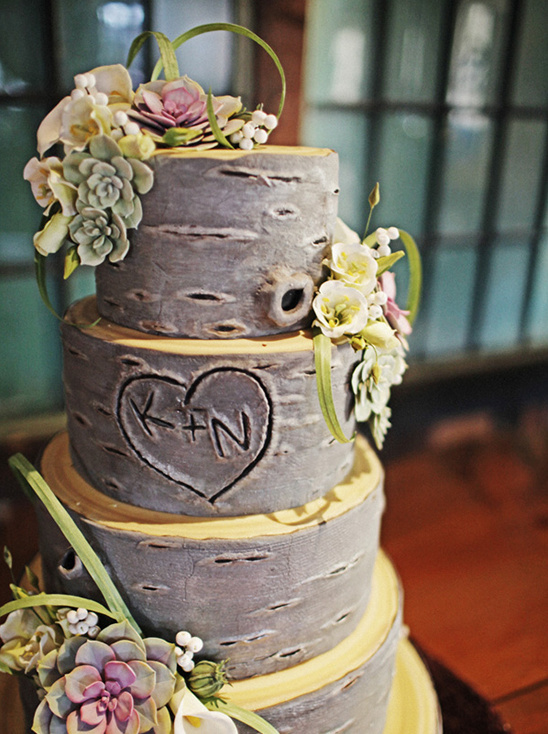 Perfect for a rustic indie wedding. 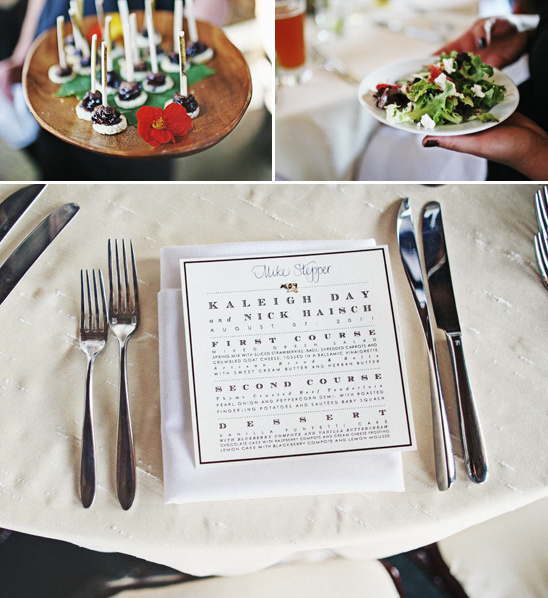 With good food and great friends, what more could you want? 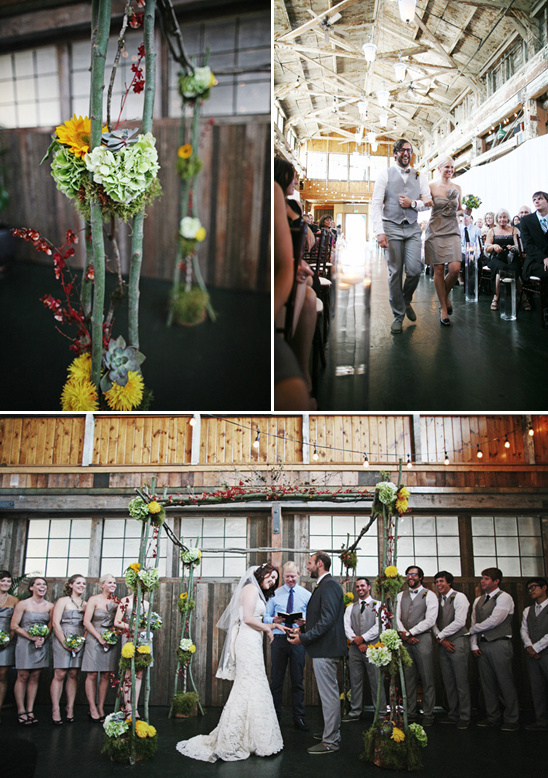 The boys played a Beatles tune as the couple had their recessional, hence all the musical instruments. 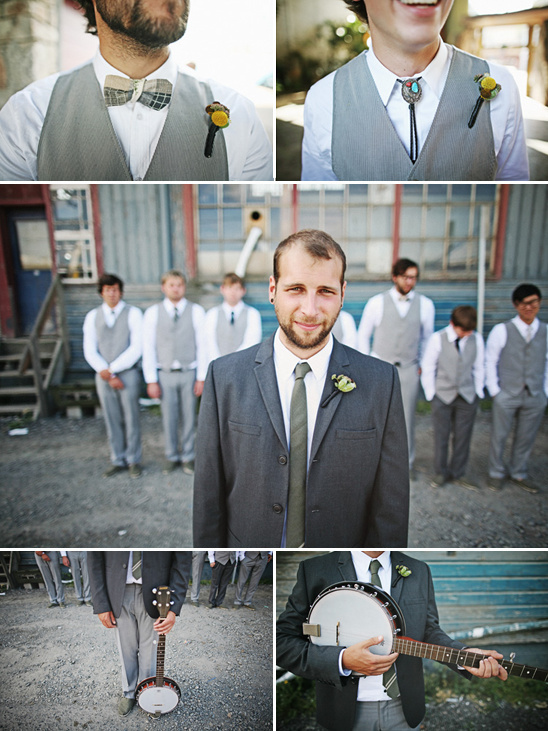 The bride gave the groom that sweet vintage banjo as a gift. 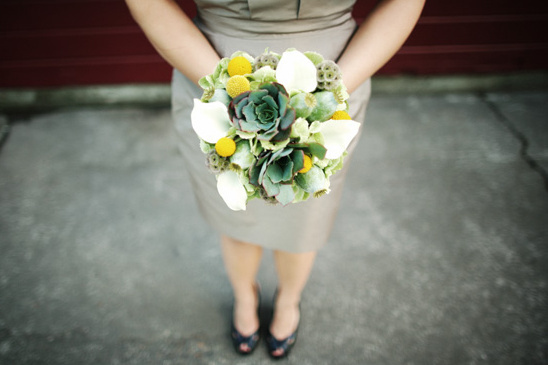 Loving the Jr. 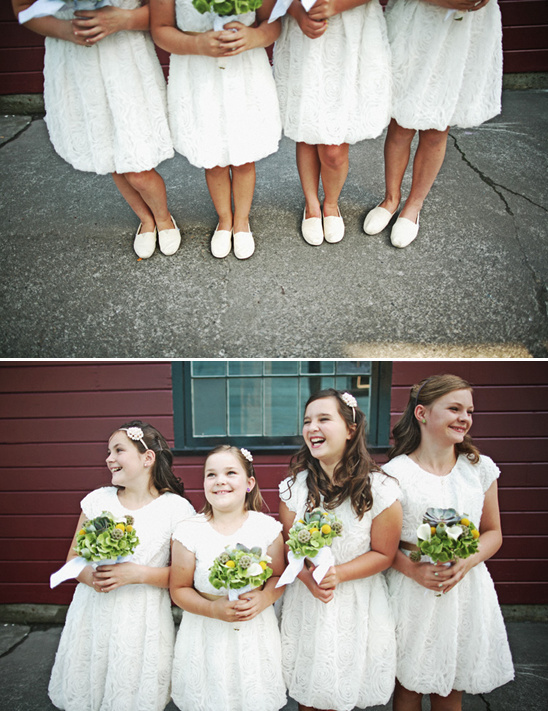 Bridesmaid's white dresses and white Tomss way cute. 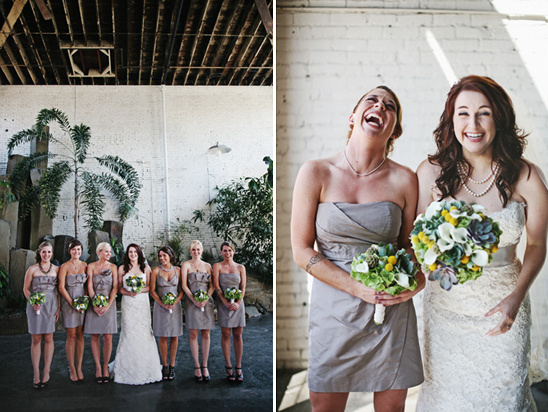 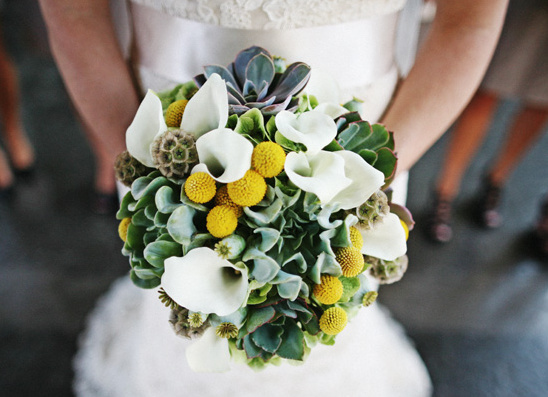 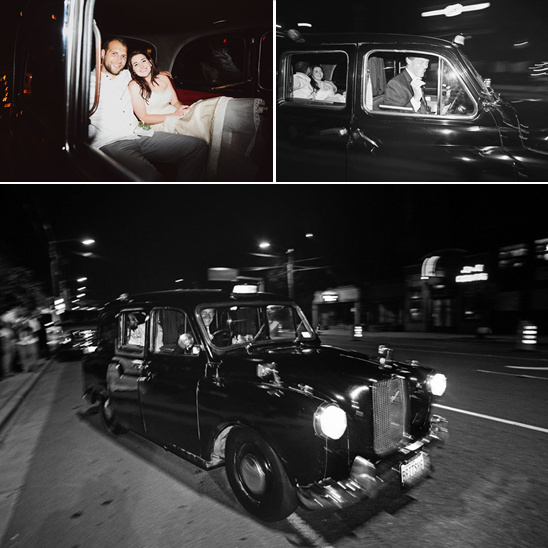 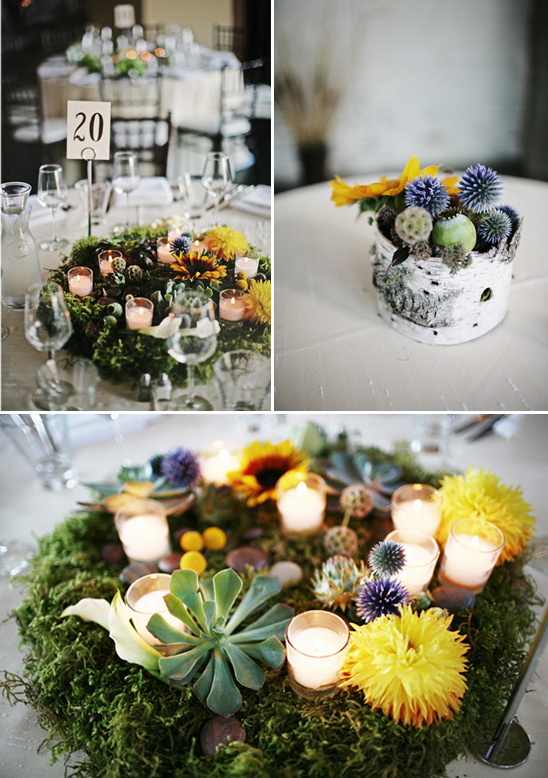 See more of this Sodo Park Weddding from Sergio Mottola by clicking here.